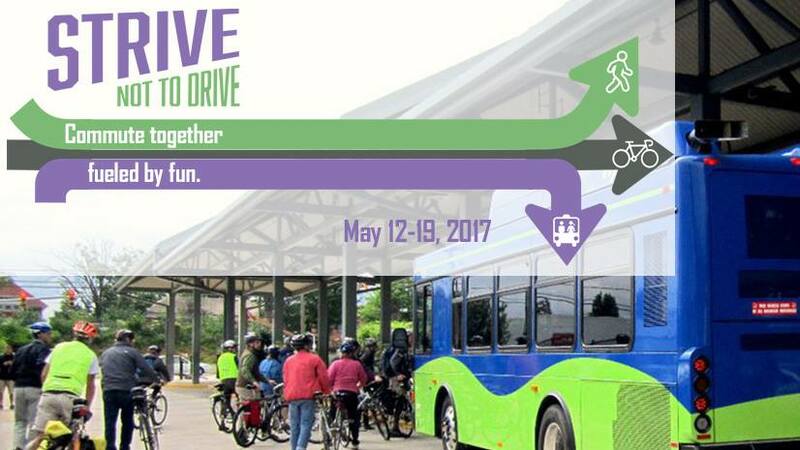 AoB is a proud supporter of Strive Not To Drive Week, an annual event that encourages residents of Buncombe, Haywood, and Henderson counties to commute, run errands, and recreate using the healthiest, happiest, and most sustainable transportation methods possible. This annual week of events features a multi-modal commuter challenge, community and memorial rides, guided tours of the area’s multi-modal transportation infrastructure, opportunities to engage with local elected officials around transportation issues, community celebrations, and more! To stay up to date on the next Strive Not to Drive, visit the SNTD website and sign up for AoB’s e-news. SNTD ’17 happened May 12-19 and marked the return of many perennial favorite events. See below for a run-down of what went down. Track your commutes and earn free rewards from LoLo: Locals Supporting Locals when you track your commutes. You can even start a team and earn major bragging rights. Let’s light up downtown Asheville and Montford! Meet at Walkable Wall Street with a well-illuminated bike: pile on the headlamps, wrap your bike in Christmas lights or glow sticks, whatevs! We’ll roll out for leisurely 1-hour ride into Montford, then circle back to Wall Street for post-ride beverages and fun. Savor the fresh air and stroll Wall Street with a fun “passport” tour! Come by bike, foot, or bus, and you’ll get a Walkable Wall Street Passport. Visit local businesses, and get your passport stamped. When you fill it up, swing by the Strive Not To Drive table and claim your prize! Walkable Wall Street starts at 2PM on Saturday and runs through Sunday evening. FREE bike parking provided by Asheville on Bikes. Take a photo of yourself (or your mom or partner who’s a mom) on the move on Mother’s Day, May 14. Any outdoor activity counts: walk the greenways, ride our bike lanes, or play in your local park, but steer clear of cars. It’s the cheapest day of the year to ride the bus: Asheville Redefines Transit offers 25¢ fares all day. You can also enjoy a complimentary snack in the A.M. and listen to buskers during afternoon transfers at the Transit Station at 49 Coxe Ave.
Tuesday, May 16: Walk The Talk on Coxe Ave.
Be informed, be empowered! 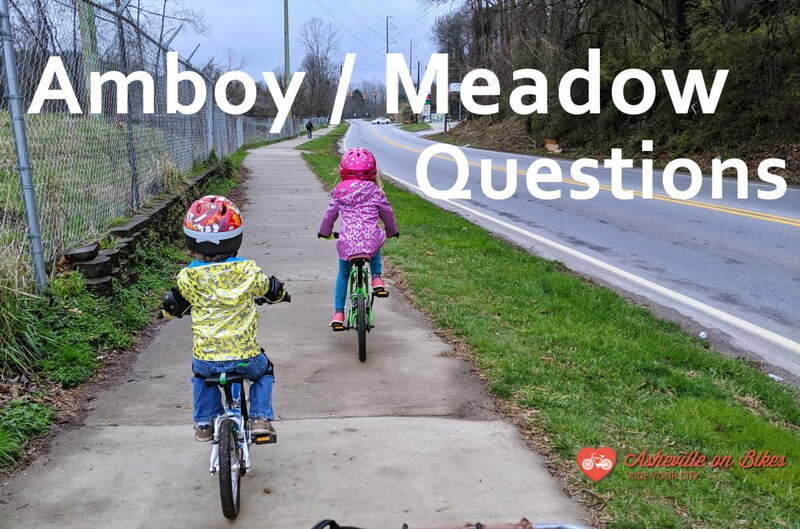 Join Asheville on Bikes and our elected officials, transportation planners, and community leaders as we walk and discuss one of Asheville’s most quickly developing roadways. Meet at the ART Transit Station at 4:30pm. The walk works its way south on Coxe at 5pm. Honor those who have passed on and show solitude as we work to secure safe streets for future cyclists and pedestrians with this somber, silent ride. Meet at 35 Woodfin St. at 6:45 pm. All welcome. Hosted by Blue Ridge Bicycle Club & Asheville on Bikes. If you can’t ride every day during Strive week, make it your goal to complete a two-wheeled commute on Friday. Find a safe route, enjoy the experience, and finish up with our Roll Outta Work Party! (Details below). Meet at Pack’s Park at 5:30pm for a ride that ends at New Belgium Brewing (see route here) for a Strive Week Wrap-Up Party. Or skip the ride and head straight to The Liquid Center at New Belgium Brewing for the festivities, starting at 6:30(ish)pm. The event’s hosted by Asheville on Bikes with help of our amazing sponsors. This is one party you won’t want to miss!